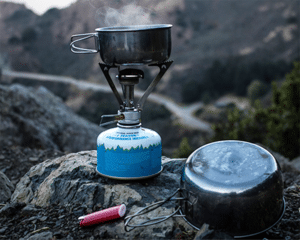 The minimalists and ultralight backpacking fanatics among us normally do not take a camping pillow with them when they go camping. A folded up fleece or down jacket is just as good, right? Well, for some people that might do the trick, but for most of us, a good comfy camping pillow is a requirement for a good nights sleep. 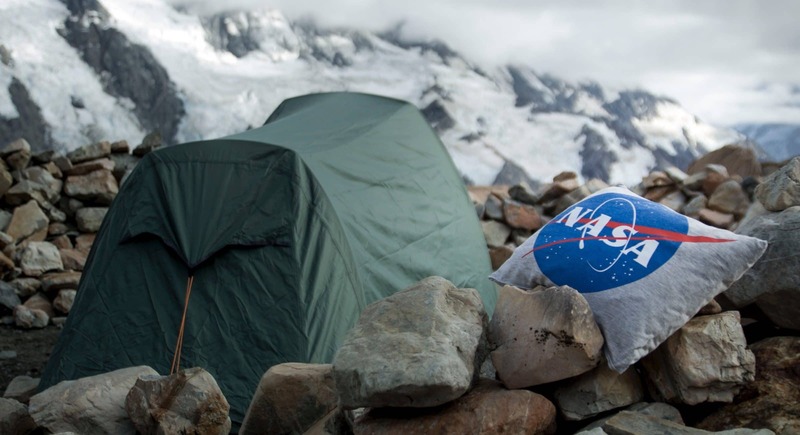 Camping pillows really shouldn’t be seen as a luxury item or too heavy or bulky to take with you. Nowadays you can get ultra-compact and lightweight pillows for not that much money, so there is absolutely no reason to leave home without one. We have spent the last few years looking for the ideal camping pillow and we think we have finally found it. Of course, there is not one pillow that is ideal for everyone, so we have included the top 7 pillows we liked best. Check out the comparison table and buyer’s guide below. 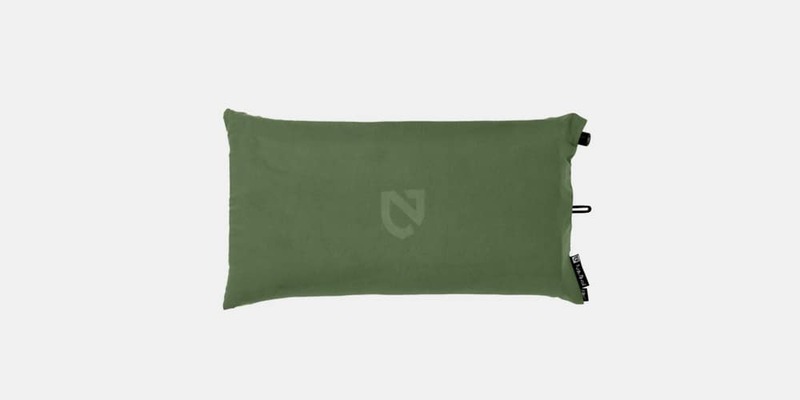 The Nemo Fillo is in our opinion the true king when it comes to camping pillows. It offers the ideal balance between comfort, compactness, and weight. The Nemo Fillo is a hybrid pillow type, meaning it consists of an air bladder with a 1-inch thick memory foam layer on top. The cover is made from either microsuede or jersey and is super soft. The cover can be removed, so it’s easy to wash. The integrated stuff sack works really well and since it’s attached to the cover you will never lose it. The Fillo might not be ultralight (it weighs 260g), but the comfort the memory foam adds is well worth the extra weight. The Nemo Fillo comes in 5 different colors, 2 with a microsuede cover and 3 with a striped jersey cover. Nemo Equipment also makes a similarly sized ultralight Fillo pillow. The ultralight version weighs just 3 oz / 80 grams and packs to the size of a deck of cards. It uses a PrimaLoft fill, instead of the luxury foam, so it will not be as comfortable as the standard version. The Sea to Summit Aeros Premium weighs only 79 grams and it was by far the most comfortable ultralight pillow we tested. It consists of a TPU air bladder, a synthetic fill, and soft 50D brushed polyester cover. Some inflatable pillows can make you feel like you are sleeping on a beach ball, but with the Aeros that’s not the case. Sea to Summit has curved the internal baffles, which provide excellent support and create contours that cradle your head comfortably. The synthetic fill is a lot lighter and thinner than the memory foam the Nemo Fillo uses, but still adds a lot of comfort. The fill material also helps to wick away perspiration while you sleep. 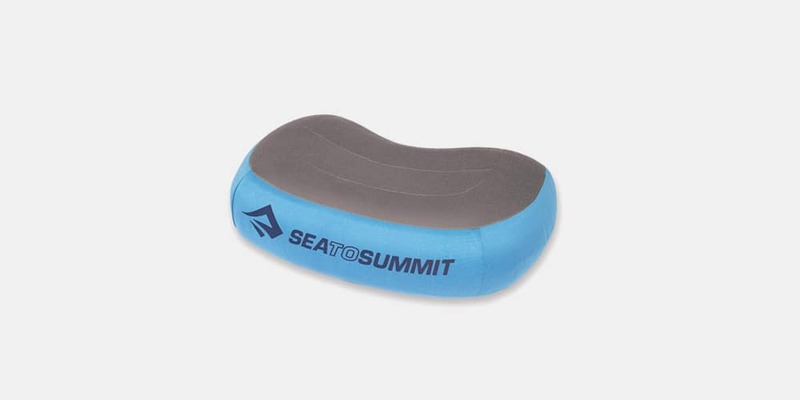 The Sea to Summit Aeros folds up to the size of an ibuprofen bottle and is our top pick for ultra light camping pillows. The Aeros Premium comes with an Ultra-Sil stuff sack and a lifetime warranty. The Aeros comes in two different colors and sizes. The large is roughly 3 inches longer and wider than the regular version but still only weighs 4 oz (114g). If you are looking for an even lighter pillow then take a look at the Sea to Summit Aeros Ultralight. Weighing just 2.10 oz for the regular version, there is absolutely no reason not to add it to your pack. The Therm-a-Rest compressible feels the most like a regular pillow and offers excellent comfort for a decent price. It is not inflatable, so firmness and height are not adjustable, but it still provides excellent support. We liked its simple design and the integrated stuff sleeve, plus you never have to worry about leaks. It weighs roughly the same as the Nemo Fillo, but it’s packed size is almost twice as big. 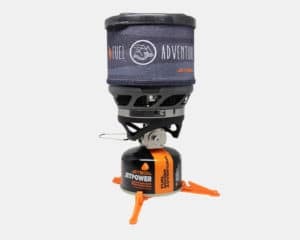 This means it’s better suited for weekend and car camping trips as opposed to ultralight backpacking. The Therm-a-Rest compressible is filled with upcycled urethane mattress foam, which makes it super eco-friendly. The foam felt a bit lumpy in the beginning but started to spread out better with some use. While it’s not as compact or light as some of the other pillows we tested, its supreme comfort for an affordable price make it our Best Value pick. The Therm-a-Rest compressible comes in 8 different colors and 4 sizes. The XL size measures a generous 16.5 x 27 in for home-like comfort while camping. The Trekology Ultralight pillow is just as light as the Sea to Summit Aeros but only costs half as much. Since this pillow doesn’t have any padding or fill material under the cover, its pack size is quite a bit smaller than most of the other pillows we tested. Don’t let its small packed volume fool you though, after being inflated the Trekology Ultralight measures a generous 16 by 12 inches. The valve system of this pillow is quite unique, it uses a button to open and close the air valve and actually works well. 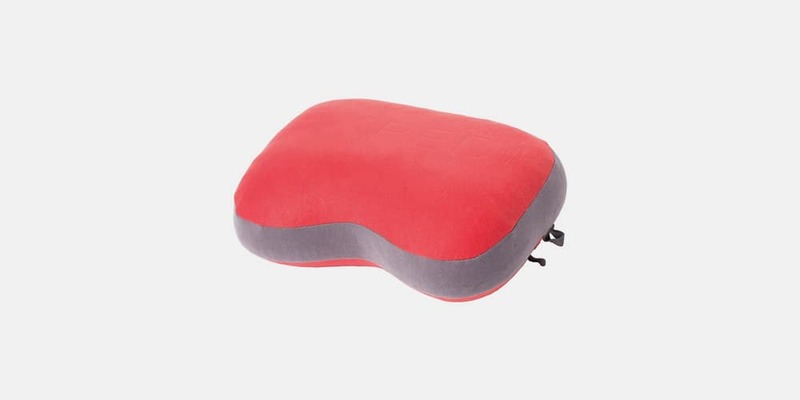 Since the firmness is adjustable, the pillow can be used for all sleeping positions: back, side and stomach and it can be used as a lumbar support for more ergonomic sitting positions as well. While not being as comfortable as hybrid pillows, its large size, durable construction, and light weight make this a great pick (especially for the price). The TPU bottom of the pillow acts as an anti-slip material, so it doesn’t slide around too much while you sleep. 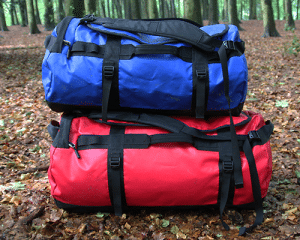 The Trekology Ultralight only comes in one size but there are 8 different colors to choose from. It also comes with a storage bag and a 1-year warranty on materials and manufacturing defects. The Austrian company Cocoon sells some of the lightest and most comfortable hybrid pillows you can buy. 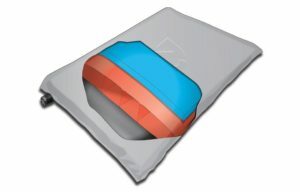 The Air-Core Pillow Ultralight costs around 30 dollars and only weighs 190 grams for the 18 x 14 inch model. This model uses an inflatable air-core with a soft polyester fill. The thing I liked best about this pillow is its removable cover with a different type of fabric on either side. This not only makes it easy to wash but also allows you to switch between a warm and a cooler side, depending on the temperature outside. One side of the cover is made from a soft microfiber material, the other is made from a smooth micro-ripstop nylon. When sleeping on the microfiber side, the pillow can be quite slippery. The reason this pillow doesn’t get 5 stars is that it does lack a bit in the durability department. 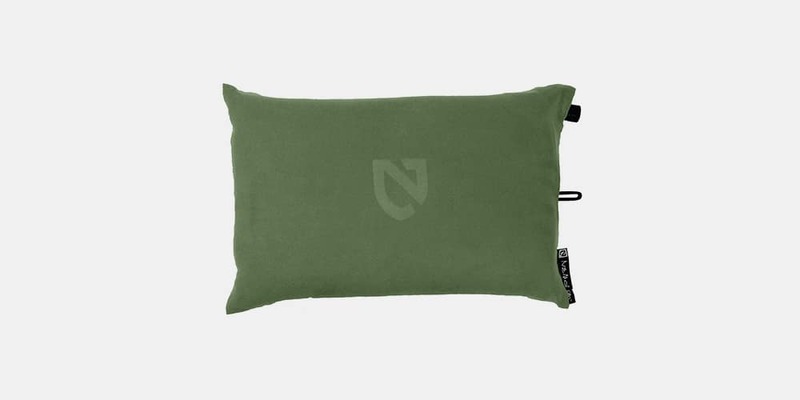 This pillow is around 25% cheaper than some of the more premium models but that does show through in the quality of the stitching and the durability of the air bladder inside. I did get a leak after using it for a couple of camping trips, but luckily I managed to patch it without a problem thanks to its removable cover. The Cocoon Air-Core Ultralight packs down to the size of a baseball and comes with a stuff sack for easy portability. The Air-Core Ultralight is available in two different colors and sizes. The large weighs 4 oz more than the regular version but is 4 x 2 inches bigger. 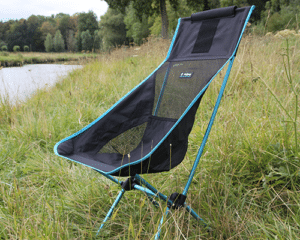 The Nemo Fillo Luxury is just as comfortable and durable as the standard Nemo Fillo but it is around 3 inches (10 cm) longer. This might not seem like a lot but for people who roll around a lot, this added length can greatly improve a night’s sleep. The Nemo Fillo Luxury is made exactly the same as the smaller model and also features some extra elastic bands on the backside of the pillow. This allows you to attach clothes to the back of the pillow and increase its height even further. The extra length of the Luxury model adds 80g (3 oz) to the weight of the pillow and costs around 10 dollars more than the standard model. Its packed volume is a bit bigger but it’s still compact enough for normal backpacking trips. 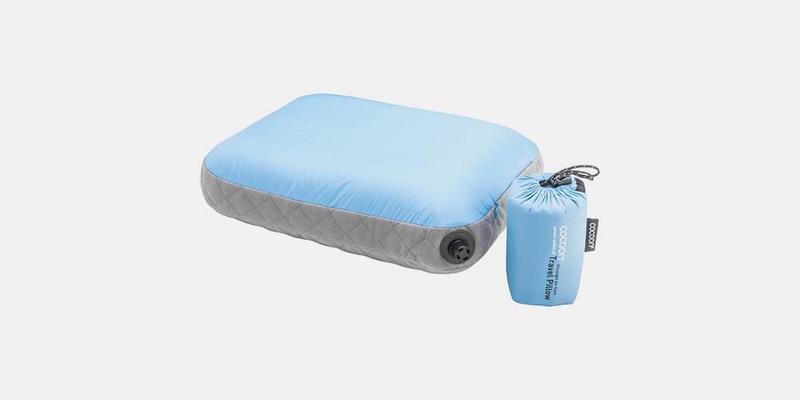 If you are looking for the most comfortable and luxurious camping pillow on the market and don’t mind the extra weight, then the Nemo Fillo Luxury is a great pick. The Nemo Fillo Luxury comes in two different colors; green and grey. It comes with an integrated stuff sack and packs down to roughly 7.5 x 4 inches. 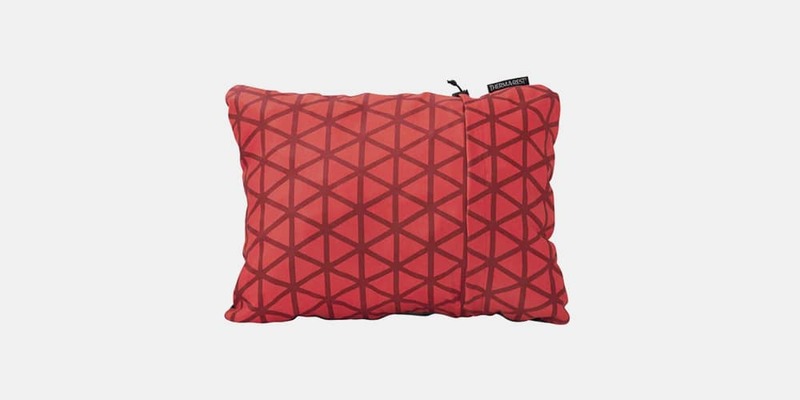 The Luxury model also comes in an ultra light version: the Fillo Elite Luxury backpacking pillow which costs around 5 dollars more but is not as comfortable as the standard model. The medium version of the Exped Down Pillow costs 4 times as much as the cheapest pillow we tested. It’s extremely comfortable, lightweight and warm, but is probably not really worth the high price. It’s made with quality materials consisting of an internal air bladder, down fill, and 50D brushed tricot nylon cover. The tricot cover is soft against the sin and is removable and washable. 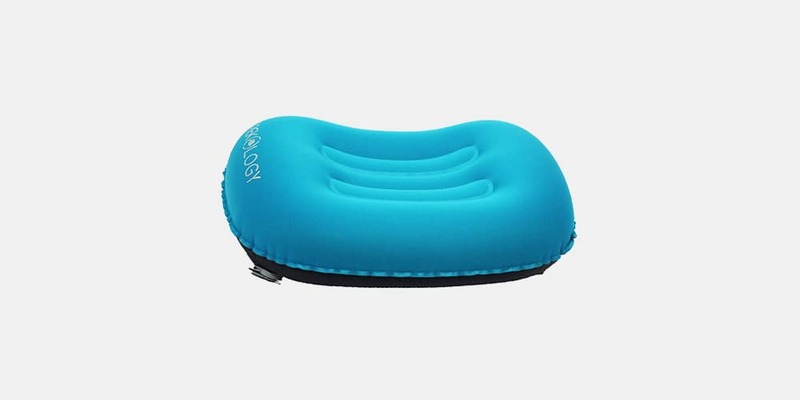 The down topper adds a lot of warmth and cushioning and can be compressed to quite a small size. The anatomical shape helps to hold your head in place. One side of the Exped Down pillow is higher than the other, making it perfect for both back and side sleepers. If you are a back sleeper, chose the lower side of the pillow, and if you are a side sleeper, chose the higher side. The Exped Down Pillow comes in two sizes, medium and large which is 3 inches longer. The down it uses is certified by RDS, a stringent animal welfare standard. Two small grommets on the underside of the pillow can be used to secure it to a sleeping mat, so it doesn’t slide around. What pillow type should I get? There are three different types of travel/camping pillows currently available on the market. Compressible, inflatable, and hybrid pillows which are a combination of the two. This pillow type looks the most like the typical pillow you have at home. They are either filled with down, synthetic down or foam. Compressible pillows do not have an adjustable bladder in them so the firmness and height is not adjustable. Compressible pillows are typically a lot larger than inflatable pillows and are therefore better suited for car camping than for backpacking. The packed size and weight of a compressible pillow determine how firm and thick it will be once taken out of the stuff sack. Ultralight or small compressible pillows do not provide very much support because there isn’t very much filling in them. If you don’t mind the larger size and weight, then compressible pillows can be a good pick. Inflatable pillows consist of a TPU bladder with a brushed polyester or nylon cover. If you are looking for an ultralight or compact to store pillow, then inflatable pillows will be your best choice. Quality inflatable pillows can be as comfortable as compressible types and don’t make you feel like you’re sleeping on a balloon. Internal baffles ensure that the pillow holds its shape and provides firm support for your head. The main advantage of inflatable pillows is that you can adjust the firmness or height of the pillow by varying the amount of air you blow into them. Some manufacturers make pillows with separate covers that you can put in the washing machine. Do not tumble dry your pillow, as this could damage the TPU bladder. Higher end models like the Sea to Summit Aeros Premium also have a synthetic fill between the pillowcase and the bladder, which significantly increases comfort. Hybrid pillows combine an inflatable bladder with a memory foam or down filled top. They are not as compact or light as inflatable models but are so so comfortable. You get all the benefits of an inflatable pillow (height and firmness adjustability) and the comfort of a compressible pillow. Hybrid pillow type: consists of air bladder, compressible fill material and removable cover. How to wash a camping pillow? Inflatable pillows without a separate cover should be hand washed and air dried. Start by closing the valve to make sure no water can get inside the bladder. You do not have to blow it up for washing. Next, fill a bath tub with some lukewarm water and add some mild laundry detergent. Immerse the pillow into the soapy water and gently knead and scrub it with your hands. Once it’s clean, rinse of the soap from the pillow’s fabric with clean water. You may have to rinse a couple of times. Squeeze any excess water from the fabric and hang the pillow to dry. Make sure that you allow the pillow to dry for at least 24 hours. It should be completely dry before you store it to prevent mold or mildew. Do not tumble dry a camping pillow, as this could damage the TPU bladder. If your pillow comes with a removable cover, then you can use a washing machine and tumble dryer. Check the label of the cover for instructions. How to store a camping pillow? If you want to let your camping pillow last for years, it’s essential to store it flat or loosely rolled up with the valve open. Do not store the pillow tightly packed in its stuff sack with the valve closed for extended periods. The same thing goes for sleeping pads. Are camping pillows and travel pillows the same? Travel pillows are usually smaller than camping pillows and are often shaped differently to accommodate sleeping in a sitting position. Most people bring travel pillows on train rides, flights, or extended car trips. Camping pillows are often the better investment because you can use them as a travel pillow as well.